Ladies Dundee Multi Coloured Skirt. Dry clean only. Sizes 10-24. 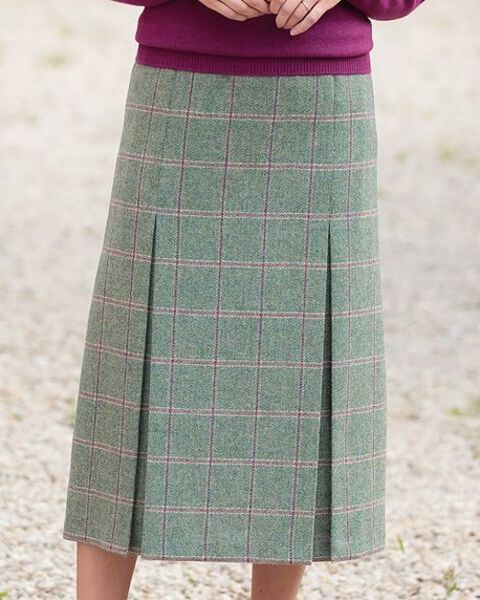 Ladies pure wool skirt, fully lined style in a soft green tweed with a hint of mulberry. Two front and back inverted pleats stitched down to the hip for a smooth look. Side zip and button fastening with side back waist elastication for a comfortable fit. An excellent example of classic styling.